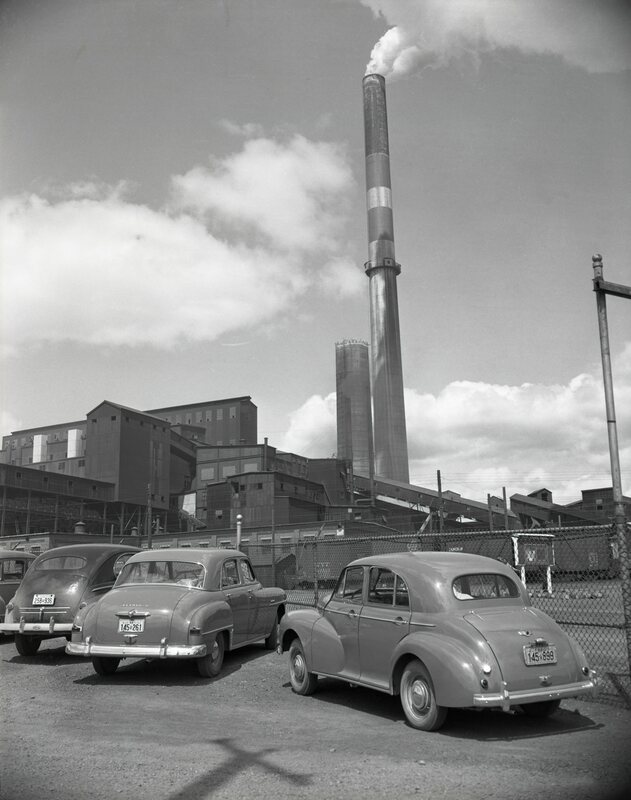 Credits: BAnQ Rouyn-Noranda, fonds Joseph Hermann Bolduc, mines series. 08Y,P124,S32,D370-51-24. This photo was taken from the Horne mine’s parking lot and smelter in the early 1950s. As you can see, a new chimney is being built.